What is a hard to reach group? Not what you think. I saw a title of blog post recently titled “What is a hard to reach group?” The answer seemed obvious – young men, hispanic people, people with high incomes. There are lots of demographic groups that are hard to reach and cause researchers a lot of stress when it comes to filling every cell in a sampling matrix. But that wasn’t the first thing that came to mind for me. The first thing I thought of was that hard to reach people are those for whom we haven’t found the right value proposition. We haven’t found the incentives that are meaningful to them. That’s the simplest answer. But, it also means we haven’t found the type of research that feels important to them – our surveys aren’t meaningful to them, our focus groups don’t put them at ease, our individual interviews feel unnatural to them. Maybe these ‘hard to reach’ groups aren’t hard to reach at all. Maybe we’ve spend all of our time trying to attract and interest mini-mes. People just like me. People who completed highschool. People who went to college. People who work from 9 to 5 and then go home, make dinner, take care of the kids and get to bed by 11. 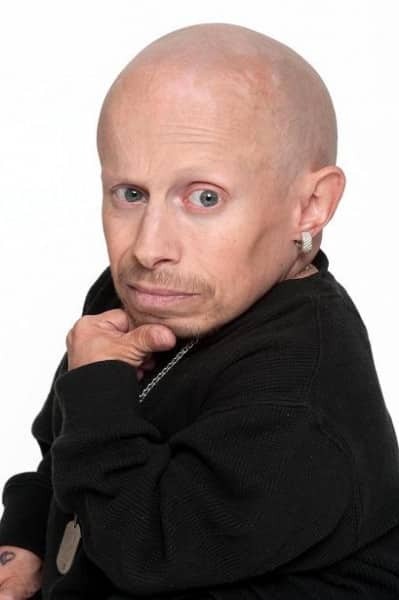 Maybe, if we stopped trying to recruit mini-mes, if we stepped into the shoes of someone who works the nightshift, someone who plays video games until 3am, someone who only wears designer shoes, maybe we’d find that these hard to reach groups aren’t so hard to reach at all. Identifying and designing for your customers’ and employees’ emotional needs will simplify and improve the efficiency and effectiveness of your customer experience programs. Step 2: Focus on the moments that matter most, which are the ones that are most emotional. It’s your competitive advantage. Establish an emotional brand purpose. A brand must stand for something important and must be authentic. Some moments in the customer’s experience simply matter more than others. The critical part is figuring out what people can’t or won’t tell you so you can make a difference their lives. The New Creatives Report, a U.S. survey of more than 1,000 creative professionals and 500 students in creative disciplines, found that 77 per cent of creatives believe change within the industry is happening rapidly, with two-thirds expecting their role will be significantly different within three years. Additionally, 87 percent of those who create mobile content believe doing so has had a positive impact on their work. ‘Creatives are going mobile, and this means a sea change for the creative process,’ said David Wadhwani, senior vice president and general manager, Digital Media Business Unit at Adobe. While a third (36 percent) say they rely on pen and paper for brainstorming, 42 per cent say they use mobile to create content anywhere. Not to mention, 80 percent respondents believe they must learn new tools and techniques and three quarters say that creatives must now work across multiple mediums and disciplines. rather make less money but do something that they love. board rooms,’ the authors wrote. Millennials want their employer to contribute to social or ethical causes, vs.
about half of Baby Boomers and older Generation Xers. HP Financial Services’ core purpose is to differentiate the HP experience by serving as a bridge between technology and finance solutions enabling customer’s achievement of their business goals. The key to their success is their engaged 1,500-employee workforce supporting customers in over 50 countries. As a result, overall loyalty scores improved seven points in the last four years. In addition, they achieved a 17 point improvement in the “Secure and Favorable” segment, which contain accounts that enable Share of Wallet growth. Everyday users go online to complain about brands ‘ on Twitter, Facebook, LinkedIn, Pinterest ‘ you name it. Responding to these complaints in real-time reduces the impact of them on your bottom line. War Gaming and the current Apple-Samsung War. change, challenging players to adapt strategies and tactics to remain relevant. event is taking place this September 29-October 1, 2014 in Toronto, Canada. According to Apple, there is a feature in iOS 8 that will give venue owners the ability to add more indoor positioning data. But from what we understand this was far from what Apple had intended. A source told Apple Insider, ‘There were multiple improvements that didn’t make it into iOS8,’ a source tells us. Many in the pharmaceutical and medical technology space today aim to make patient communication both more efficient and transparent. PokitDok, which serves as a sort of healthcare marketplace, is a service that makes pricing more transparent and open. MedXCom is improving doctor-patient communication by transcribing cell phone conversations for the patient’s reference. One of the latest examples of these companies is My GI Health. The effort began in 2011 when a team from UCLA and the University of Michigan, supported by Ironwood Pharmaceutical, set out to improve communication between physicians and patients suffering from gastrointestinal (GI) disease. Working with a multidisciplinary team of health education experts, computer scientists, psychologists, patient representatives, NIH researchers, and physicians, they created My GI Health ‘ a first-of-breed app that re-imagines how doctors and patients can engage in dialogue. The team worked from the premise that computers aren’t supposed to make things more complicated. Instead, they are supposed to simplify the process of sharing information. They saw a need to start using them to strengthen doctor-patient connections. With this insight as a springboard, the team developed a new and innovative system that re-defined the way patients and doctors connect with one another. Join us for a free webinar on June 11thas we explore the journey of this industry-academia alliance and how they pioneered My GI Health. We take a look at the impact this innovative program may have on physicians, payers and the delivery of patient care. Now, you can save 15% on ePharma West when you register and attend this webinar*. Register now and use code XP1956DIGI. they could previously only get in the United States. chairs, sit by a fireplace and listen to live music. The Outlet Collection is a new concept for Ivanho?? what would happen when winter hits. outlet for $50 in February. doesn’t have the same variety or the pricing,’ she explained. Insights Event this September 29-October 1, 2014 in Toronto, Ontario, Canada.